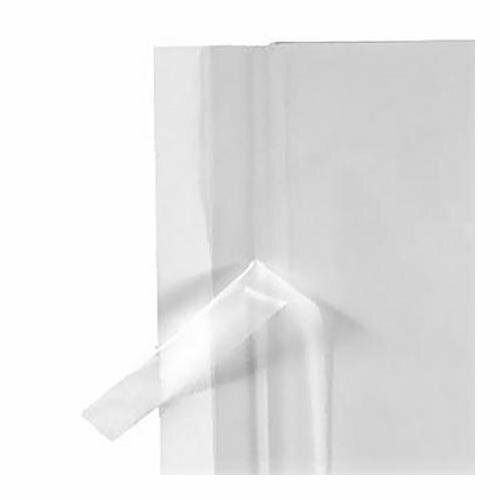 Because all storage bags are not created equal, discerning archivists often opt for a 100-pack of 13.5 x 19.25" Crystal Clear Bags from Archival Methods to store and protect their valuable prints, artwork, photos, documents and other items. Each bag is sealed on three sides and closes with a 1.5" flap on the short side. By placing a reusable adhesive strip on the body of the bag and not the flap, the possibility of damaging artwork during insertion and removal is reduced. Nonetheless, as with all archival work, a modicum of caution is always recommended. For maximum clarity, low electrostatic charge characteristics, and safe long term storage, these acid-free bags are made of biaxially-oriented polypropylene. Bags are sized to accommodate the thickness of stored items such as mats or prints. Sizes up to 11x14" are for use with up to 0.19" thick work, and larger bags are for 0.38" thickness.